In 2010 the existence of a previously unknown archaic human population was revealed following the DNA sequencing of a finger bone over 41,000 years old. 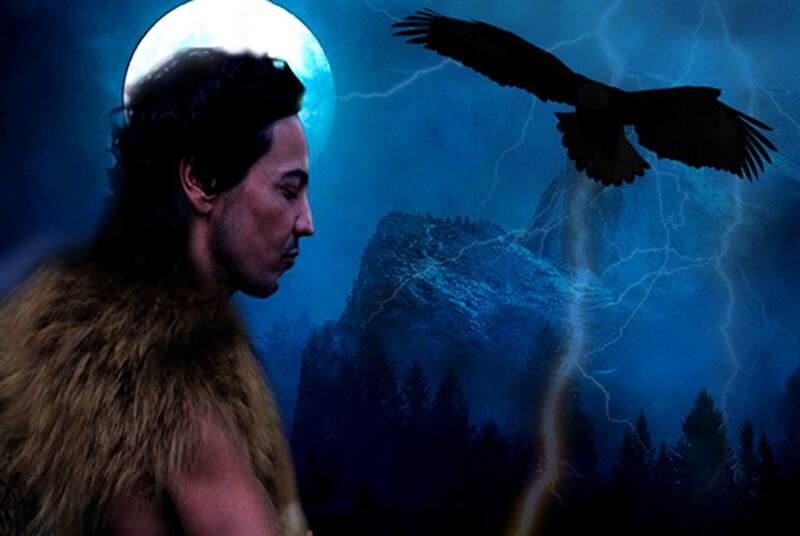 It was discovered in 2008 in the Denisova Cave, a Stone Age site located in the Altai Mountains of southern Siberia. Three molars, two of enormous size, were also retrieved. They too belong to this same group of archaic humans, who are today known as the Denisovans. Map showing the distribution of Denisovan DNA in modern populations based on the Altaic Denisovan genome (after Sankararaman et al 2016). Black circles 3-5 %. Grey circles with black rings 2-3 %. Grey circles 1-2 &. Values are approximate only. 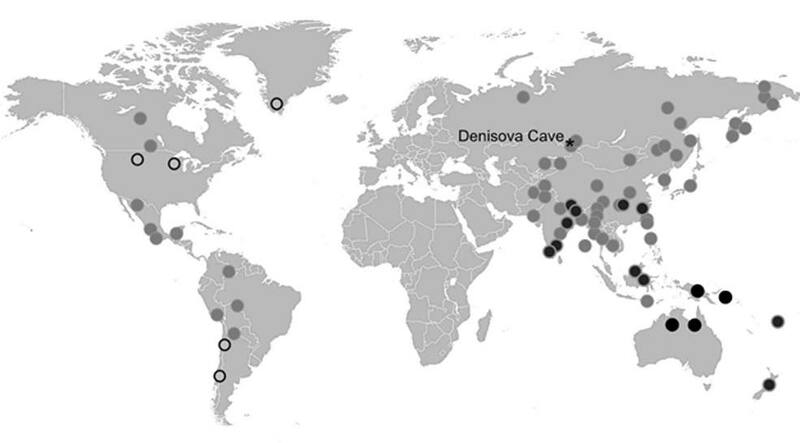 Black rings indicate locations of more recent discoveries of Denisovan ancestry (Image: Courtesy of Author). Although to date these remain the only confirmed fossils relating to this extinct population, the sequencing of the Denisovan genome by the Department of Human Evolution at the Max Planck Institute for Evolutionary Anthropology in Leipzig, Germany, determined that many modern-day human populations carry Denisovan ancestry. Most of these populations are located in central, southern and eastern Asia. Others are found among the indigenous peoples of Papua New Guinea, Australia and the Solomon Islands in the South Pacific.